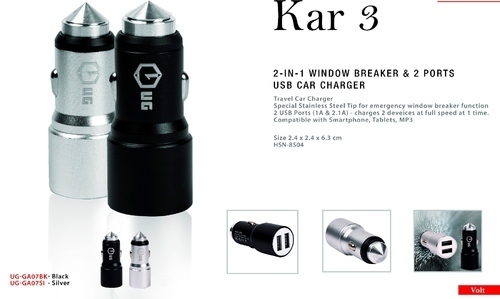 Manufacturer of a wide range of products which include on- universal travel adapter with case, usb travel adapter - pro, worldwide travel adapter with 2 usb case - cube, 2 in 1 car charger - duo, 2 ports usb car charger and window breaker and 2 port usb car charger. 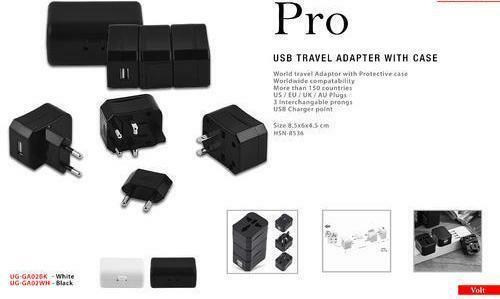 World Travel adapter with Protective Case. US / UK/ EU/ AU Plugs. 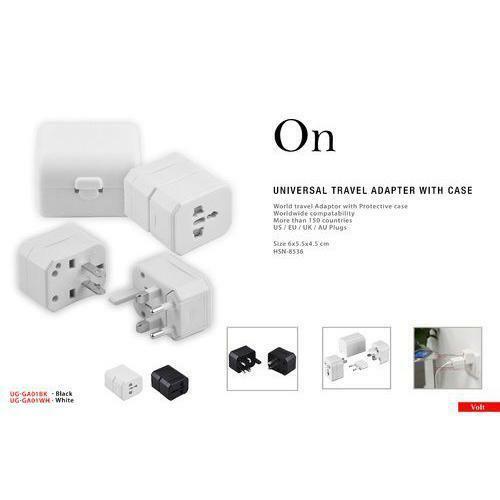 World Travel Adapter with USB Port comes in an ultra compact protective case. 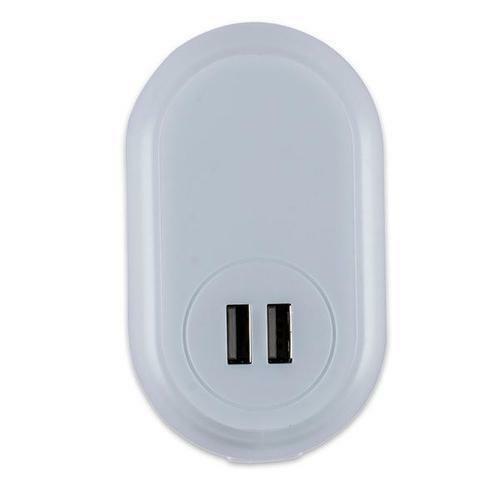 Available to use worldwide in more than 150 countries including US/EU/UK/AU type sockets. 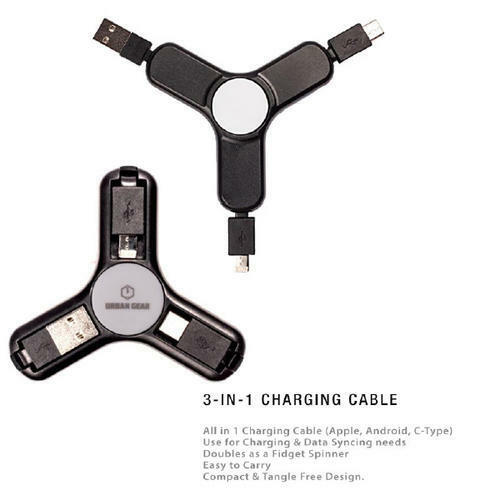 This makes a perfect travel accessory and saves you having multiple adapters. 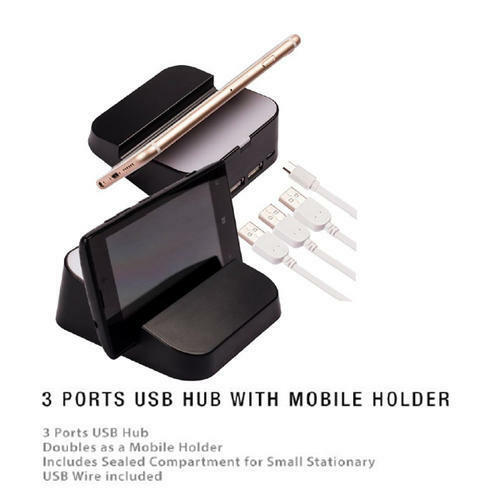 Allowing you to use any important electrical items, the handy USB port also allows you to charge your smartphone or tablet. 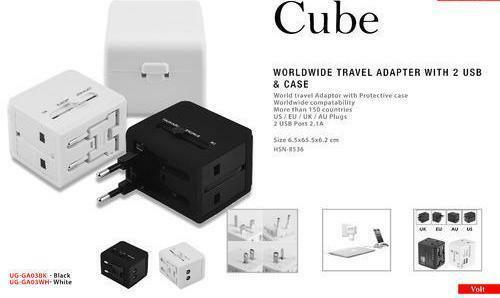 World Travel Adapter with 2 USB & Case. 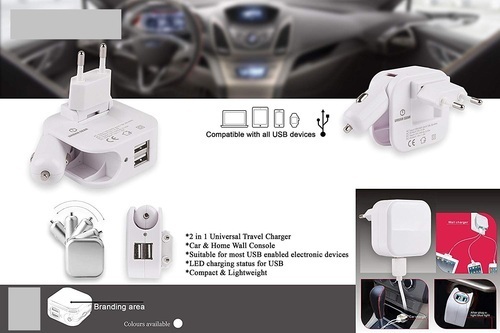 2-in-1 Universal Travel Charger for Car & Home wall console with two 2.1A USB ports converts to both car charger as well as home/travel/wall charger. 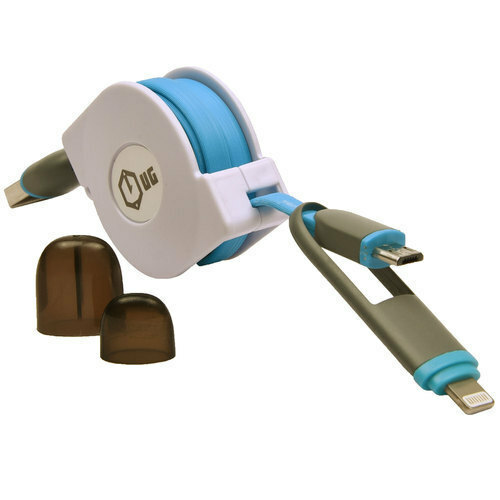 Just connect one end of your data cable (Not Included) to your device and other end to charger console. Built-in fuse and Integrated IC control circuit for short circuit protection and overheat prevention. Comes with LED charging status indicator for the USB. Compact and lightweight design makes it the perfect accessory for staying powered up no matter where you are.Dual Charging. 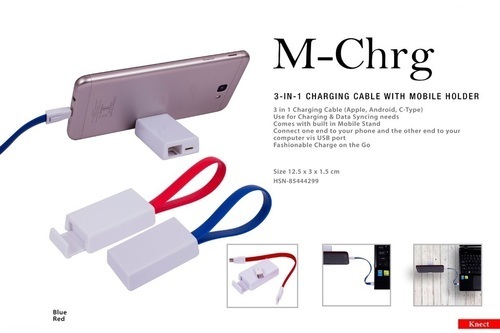 Smart Charge Technology - Detects your device and charges it at its fastest supported speed. 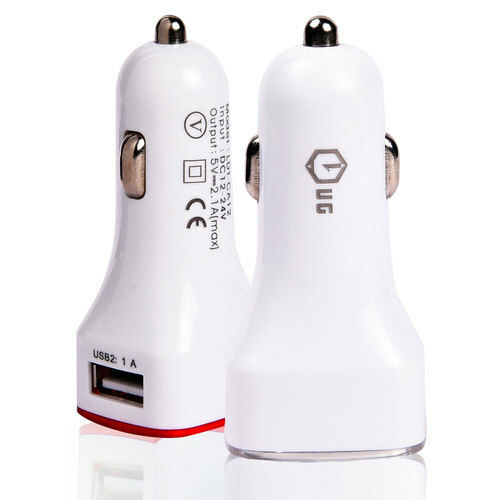 car charger:Input:DC12-24V;Output: 5.0V/3.1A(Automatically adjust output current ).Intelligently identifies your devices to deliver maximum charging speed( Max 2.1A). LED Night lamp with Switch.Built in 2 USB port charger suitable with most enabled devices. There are 2 concealed LED's which lights up.Excellent Business/Corporate Gifting Option !Gift it to your favourite colleague for Birthdays Diwali or be the Secret Santa for Christmas! 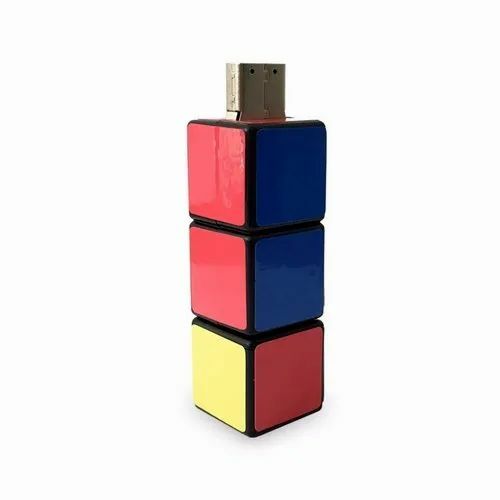 The ideal buddy on your desk.This awesome product is a USB Hub which when plugged into your computer gives output to 3 other USB Hubs. 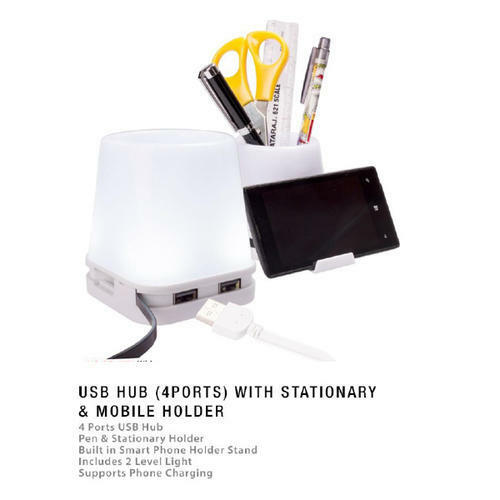 Use the hub to charge a smartphone or plug in USB drives for your convenience. 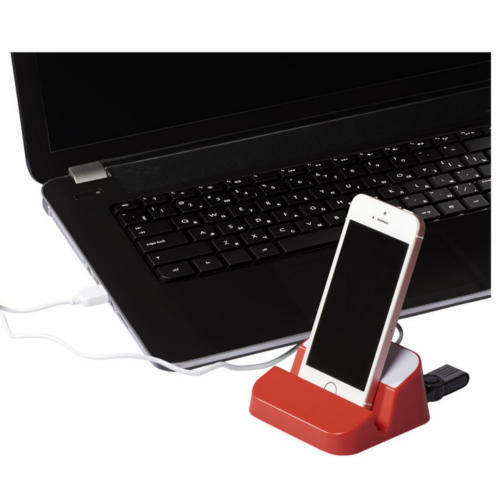 The Stand can be used to place a smartphone pens etc. Excellent Business/Corporate Gifting Option !Gift it to your favourite colleague for Birthdays ,Diwali or be the Secret Santa for Christmas! 1. Mini type-C to micro USB connector, plug in both ways. 2. Backward compatibility with older USB versions. 3. 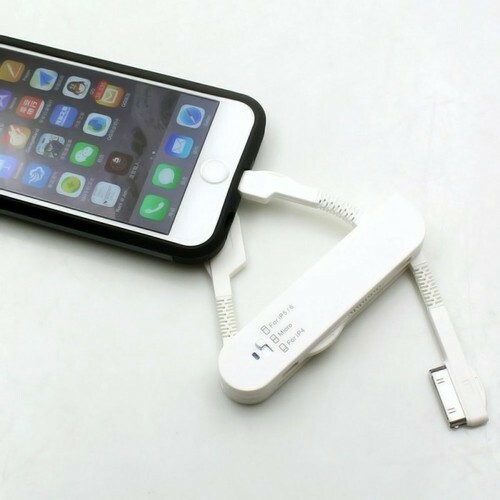 Support both high power charging and quick USB data transfer for USB-C devices. 4. 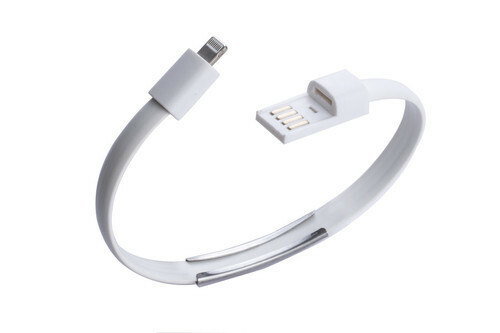 Made for:connecting USB-C enabled devices with standard USB-B male devices. 5. Please mind that this adapter is not compatible with Micro-USB OTG adapters. 6. Compatible with type-C supported devices. 7. 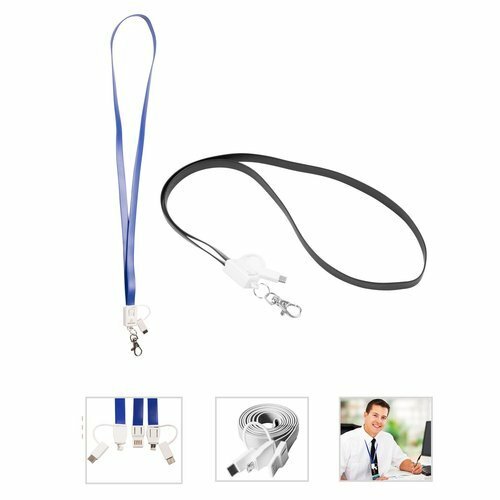 This Typ-C adapter with key chain lanyard, you can connect to your key, it is very portable. PU Non-slip Pad: There is a PU non- slip pad at the other side of this mouse pad, which can keep a stable place for a long time. Let your gaming, work or studying more enjoyable. 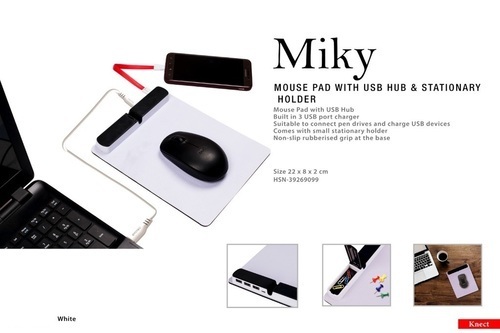 Multi-function: It's not only can be used as a mouse but also can be inserted into USB, SD and Micro-SD etc. Durable Aluminum Mouse Pad: This durable aluminum mouse pad is made from high-quality aluminum,strong enough to withstand long hours of gaming, working, studying and more. Easy to clean: Aluminium alloy material, which makes the cleaning become easier and more convenient. Wind can be controlled by 2-speed, energy-saving and environmentally friendly. 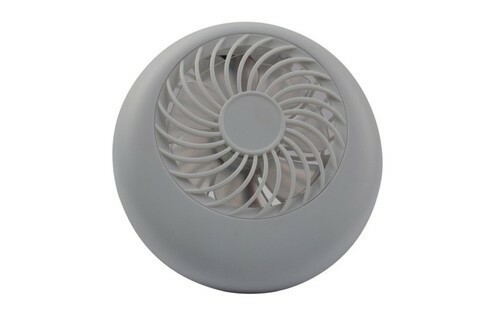 Fan design is compact, sophisticated and beautiful. Do not put the product in the water leakage, high temperature use. 18650 lithium battery,shake up and down. Attractive Design , high quality Performance and high durability . Used for corporate gifting . 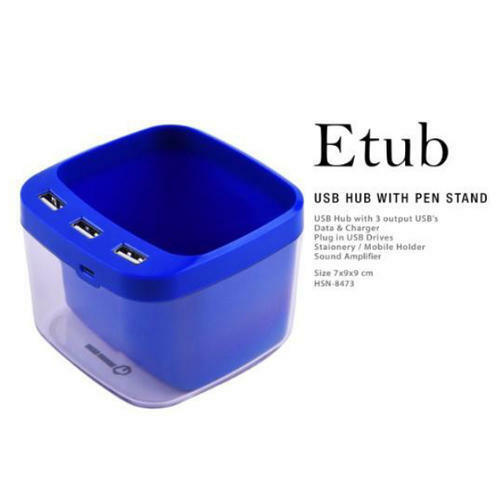 Looking for “USB Travel Adapter and Ports”?